Burbank, CA – Last night into the early morning, fans were lined-up outside the IMAX AMC movie theater in Burbank to see the much awaited and anticipated director, James Cameron (Titanic, Alien, Terminator) newest high tech feature, AVATAR. Cameron was at the theater attending an earlier screening with studio executives. He intermittently pop-out of the theater to talk to press. Over 10 years ago, his Titanic film was winning 11 Oscar statuettes. Thursday night, another James Cameron production made history. Avatar challenged any cinematic techniques us, mortals, might know of. Seen in IMAX 3D, the film’s 3D images are flawless and for 150 minutes the viewers travel to another world, beautifully designed, named “Pandora”. The movie can be praised for a number of qualities from the acting, the direction, to, the special effects. Avatar can be interpreted as yet another science fiction film with a different take on “Artificial Intelligence”, where a dummy body is created of a real character. However, the genius of Avatar consists in the creation of Pandora, and for that there is no precedent. Pandora got my attention especially for its name. In Greek mythology, “Pandora”, which translates as all-gifted, is the first woman created to whom each God gave one gift but also a jar which she was not to open. Her human curiosity pushes her into opening the box, out of which evils escape except for one thing laying on the bottom- HOPE. 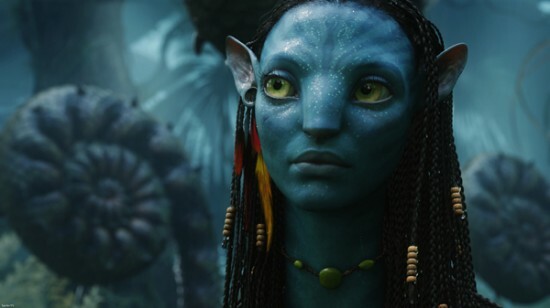 On the “Avatar” Pandora, a dreamlike world of luxurious nature, the ills of human life have been released once humans have arrived to mine a precious mineral, called “Unobtainium”. 12 years later, James Cameron has proven his point. He is the king of a world, or at least the Pandora world.